This is final installment of the series. Part 1, 2, 3 and 4. They told me I was going to be in one of the Ultimate Secret Weapon. I didn’t know what it was. I was excited. Then I found out it was the Human Torpedo. – A Japanese Imperial Navy ex-trainee, who stationed in the secret Navy base near Hiroshima during the last days of the Pacific War. The image of Shinji (and Asuka or Rei) in Eva may bear little resemblance to it, but it is the image of a suicide weapon nonetheless – Kamikaze fighters, Human torpedoes and other atrocious machinery of perverted ideas. You and your weapon are the one and the same. You pilot your weapon and you are not allowed to abandon it whatever happens to you. This weapon-pilot relationship amplifies the sense of density, despair, and above all, deadly sense of intoxication. In real life, the “Ultimate Weapons” were pathetic, ineffective and inhumane. Even Nazi Germany concluded that the suicide missions were not worth the weapons and trained soldiers wasted. As they kept losing its strongholds, such as Iwo-jima, Philippines, and Okinawa, Japanese Military Command got desperate. Admiral Takijiro Onishi asked the cabinet to consider sending 20 million males (about a half of the entire male population of Japan) to suicide mission, insisting that would save Japan. Yes, seriously. Japanese had wasted many functioning Zero fighter planes for Kamikaze attacks, and it was not long before they realized they could build suicide mission weapons cheaper if they designed them solely for that purpose. And also, even though they did not have imagination to fully grasp their standing in the war, they had imagination to come up with a series of the most atrocious suicide weapons in human history. A human torpedo Kaiten was literally an underwater coffin with no cruise control. All you can do was to look at the watch counting down to the time of impact: it’s the time of your death. 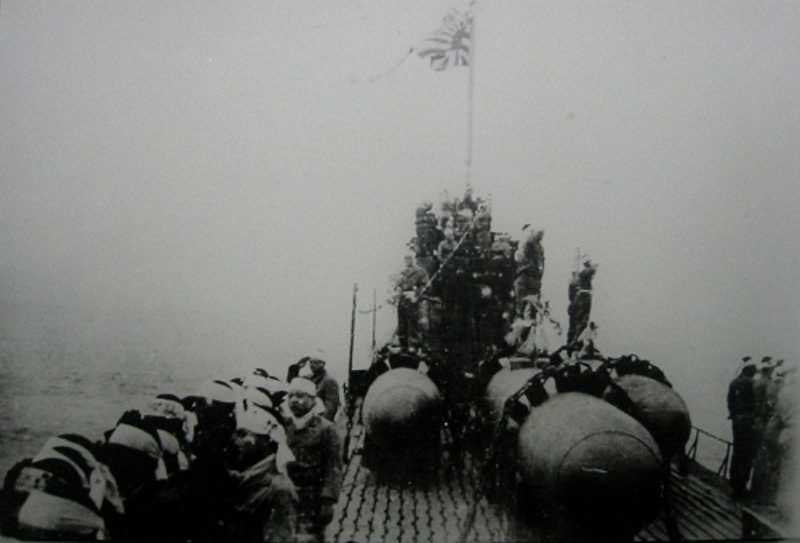 Shinyo was a boat fully loaded with bombs, and a soldier would ride it into the belly of enemy’s warships. There were many shabby planes or newly-designed DIY-level planes. A 300 hp, biplane, with bombs attached. A glider with a 100kg bomb attached. In the last days of the war, they built a prototype for the most inhumane suicide plane. Code-named “Ta”, it was a 105hp plane with a 100 kg bomb attached. It was designed so that women and children could built them from utility poles. A duck in a shooting gallery would have less mortality rate than this. These were the reality of secret ultimate weapons. Boys were loaded with lies and fantasies through government-sponsored media, only to find out their mission was to pilot a pathetic piece of atrocity. Just once, only once, then you die. That’s your worth. As I met and interviewed hundreds and hundreds of ex-soldiers, what I realized was that the Japanese political and military leaders at the time had not provided them with no consolation for their anguish or sorrow. They had never gave proper reason for fighting, either. What is the proper reason to dive your plane into an enemy battleship with a bomb underneath your fuselage? I should note that there are two separate issues: sacrifice and failure of command. There should be respect for those who died from those suicide missions. They were convinced that their sacrifice would protect the country and their family from the evil enemies. They were young, innocent and noble. On the other hand, there were people who were responsible for commanding such missions. These missions were often said to be volunteered by aspiring young soldiers, but everyone knows that’s not true. Those soldiers were coerced to think there was no other choice but to volunteer. These questionable tactics of suicide missions were carried out by the high-ranking commanding officers, who said : we will follow you. Very few followed those young men. This dishonesty has never been brought into question in our history. Our society did let these acts of cowardice and irresponsibility go without being punished or persecuted. Some of these commanders and officers actually achieved substantial success in politics or business after the war. Then, our society itself is accomplice to this abuse of power and betrayal. Postwar Japan has awkwardly replaced teenage fantasies of war years with tales of hero, in which the western culture – America – was no longer our enemy, rather our guardian and new enemies something incomprehensible, like monsters from the depth of the Pacific or a sadistic Nazi with his head removed. Superficially, they were disguised as morality tales, but bizarrely camouflaged “the will” of such hero. Justice. World peace. To save the Earth. I always wondered whose will is at work, in tales like Ultraman, Mazingar, Space-battleship Yamato, Gundam, and others? Who is commanding? Who is in charge? These hero tales were variation on the theme of ultimate weapon fantasies of war years. However, they kept awkward distance from the reality of such propaganda by carefully removing any suspect elements, like a chain of command. So final product doesn’t smell rotten breath of ex-generals. Of course, in anywhere in the world, these hero tales or shows tend to be stories of independent, lone vigilantes, from Superman to Incredible Hulk. But Japanese products gradually gave away ethical aspect of the stories and emphasized the details of mechanization over the years. NGE created the new trajectory over this awkward digression. NEON GENESIS EVANGELION pushes hollow absence of ethical commitment to the next level. Is Seele really committed to the well-being of the world? What is Gondo Ikari’s motive of being nasty every possible occasion except having fun being nasty? Are the staff at NERV really committed to the cause? Or maybe the question is, do they really understand what the cause is? Actually, the narrative can do without such motivations. It shifted the emphasis from the world crisis to personal conflicts. As I discussed, that is the fundamental landscape of NGE and subsequent Sekaikei stories. The most aggravating aspect about NGE is that this narrative is heavily decorated with religious and philosophical allegories, modern, post-modern cultural elements, or other anime products reference, which mask the underlying hollowness. These philosophical pretense, metaphysical word-play, trivial cross-reference became new vocabulary in our main stream culture. However, with all these pseudo-intellectual sugar-coating, it still rings hollow. The absence of ethical conflict – the society we live – can be only achieved in fiction. In reality, we still live in the society – it may be a fantasy, a product of collective imagination, perhaps – but still, we need to interact with each other through such a framework. The government, the community, the corporations, they all construct “the society”. Where the society exists, we need to expose ourselves to ethical decisions. Not a personal ethical conflict, but an ethical decisions with broader consequences. However, postwar Japan had been able to survive without facing ethical conflict, or put it more precisely, it decided not to face it. Post-modern, incredibly rich, peace-drunk, anime-soaked, teenage-girl-obsessed, isolated, pretending-to-be-homogeneous society. It was sickeningly sweet, perversely peaceful. Now, 311 broke the hell loose. At least for me. Over this cloud of intoxicating smell of self indulgent world, the decisions after decisions were made. Without us knowing. More precisely, we should have known, but we have occupied ourselves with personal hemisphere. We forgot we have society. We forgot, with every nuclear power plant, there are people living nearby. And there are regulations and compensations made by those who profit by it. This process of structuring the profit-driven society has been in operation since the 1950s and 60s, it became an art itself. From time to time, it needed the smoke screen to blind public. Major media and press learned the tricks so well that Goebbels would love to work with them. Now, you might think this is another conspiracy theory by a freaked paranoid. Well, as noted by Martin Fackler, the Tokyo bureau chief for the New York Times, thousands and thousands of awaken public agree with me. NGE is the mirror of this society, in which, beyond this smoke screen, there is actually counterparts of ourselves with Ultimate weapons. Very efficient NERV and its almost perfect technology, with especially skilled and talented scientists. In such an environment, a fragile teenager can contemplate on the meaning of self, even while he/she is fighting against archenemy of the world. After the war, the human torpedo pilots, who had been lucky enough not to be discharged from submarine, had a reunion near the ex-Navy base, the place of nightmare. They demanded one of the mid-level officers, who had carried out orders to send boys to hell, to sit on the seat of the torpedo displayed in the memorial museum. They demanded rather angrily, and the ex-officer had no choice but to squeeze himself into this suffocating metal coffin. For the first time in his life, he understood fear. Fear he had forced others to feel. Fiction is one thing, and reality is another. Sometimes, fiction is too toxic. Not because reality imitates the fiction. Rather, reality is not what we dreamed in fiction.